The strategy is being labelled as the “Telstra2022” and will have a huge impact on Australia, from causing ripples in the economy to changes on a personal level such as consumers potentially paying less for internet access. Let’s look at the strategy Telstra have planned which they hope will “improve customer experience, simplify structure and cut costs”. Telstra currently offer their private and small business customers around 1,800 plans to choose from. That creates unnecessary complexity and confusion for customers, what Telstra is labelling a customer “pain point”. With TPG entering the market as a fourth holder of infrastructure and increased market competition, Telstra will have to review how they market themselves in order to draw customers and keep the ones they have. At this stage, the emphasis looks to be on simplicity and transparency, providing plans that directly address customer complaints about products currently available on the market. Telstra plan to provide just a few products, done well. That’s a complete about-face from a huge telco who currently offer a massive number of options to customers. Telstra announced plans to offer a new approach to data beginning in July, where they will offer “peace of mind” data across their range of post-paid plans, which they claim will eliminate the need for excess data charges to customers. They also hinted at four more major offerings before June 2019, with no clues yet on what they might be. Telstra are hoping for a major change in experience for their customers by June 2019, with all customers on the new products by June 2021. For businesses, the Enterprise area of mobile offerings will take the digital focus even further, concentrating on software-based platforms and moving towards the Internet of Things. They aim for the offered products to be modular, self-service and simplified. Telstra has a completely new technology stack ready for implementation and will begin shifting Enterprise customers over, ceasing development on old systems and culling old applications and services wherever possible. In a move that experts say probably should have happened before the NBN (but better late than never), Telstra plan to combine infrastructure into a separate entity that will operate independently but report to the Telstra CEO. The company would not include mobile infrastructure or spectrum, but would incorporate Telstra’s data centres, non-mobile-related fibre networks, copper, HFC cables, international subsea cables, exchanges, poles, ducts and pipes. The services would be aimed at wholesale customers and the NBN. Telstra’s announcement hinted heavily at plans to “de-merge” the company or attract a significant investor to take it over in 2022. Experts are saying that if the company separates off it could be used to purchase or merge with the NBN when the rollout is complete, also planned for 2022. Currently, Telstra holds too many assets to be allowed to acquire a major service like the NBN, as watchdogs such as the ACCC strictly regulate its holdings in order to avoid a monopoly. By focusing the Telstra company on mobile plans and infrastructure, InfraCo could eventually be used to purchase or merge with the NBN when it privatised. Telstra predicted that InfraCo will have a book value of around $11 billion, and have a workforce of around 3,000 people. They hope that by separating off the infrastructure assets into a separate company, they will be better able to use and manage those assets. InfraCo will not include any of the mobile assets such as mobile-related infrastructure or spectrum. They will hold on to any infrastructure that supports their aim to be the first telco to reliably roll out 5G network to consumers. Unfortunately, when it comes to simplifying the operating model, it means job cuts. 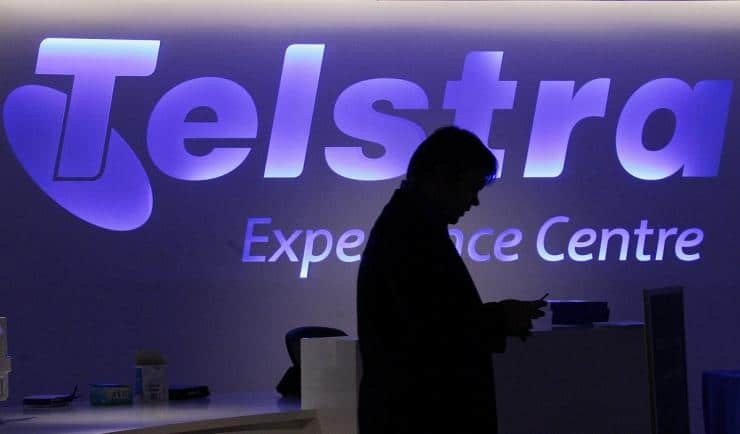 Telstra have announced a massive 8,000 jobs will be cut within the next three years, consisting of both employees and contractors. The first cuts will be made to executive and management roles, with other jobs presumably cut after the initial reshaping. Telstra have expressed a wish to minimise impact on customer-facing teams, meaning for now, it’s the layers above that will be reduced. They are also anticipating the creation of around 1,500 new jobs aimed at keeping up with future innovations, including software engineers and cybersecurity experts. To support those who find themselves without jobs, Telstra have created two new programs; the Transitions Program will provide outplacement support for people who leave, and the remaining workforce will be upskilled and trained in the new reshaped company. The two programs have been allocated an initial sum of $50 million. Telstra recapped a number of investments that they have sold, reshuffled and streamlined, but perhaps of most interest to investors is the decision to monetize up to $2 billion worth of assets. They predict that migrating to the NBN will cost them around $1.5 billion but with $2.5 billion worth of productivity measures they should at least stay even. The main thrust of productivity targets are towards simplifying and streamlining products, migrating customers to the new products, phasing out older systems and products, and digitising sales and service channels. The new, streamlined business model that Telstra plans to employ should see them save enough to meet their targets by 2022. How has the announcement been received? After Telstra’s big announcement, the impact on the Australian economy in general and on telecommunications in Australia in particular will be significant. Of course, a great deal of focus is on the loss of jobs. Telstra has traditionally been very careful due to heavy unionisation of employees but they have taken a firm but apologetic stand to announce the drastic cuts. It feels like the focus on cutting almost 1 in 4 executive and management positions and their spoken aim to keep “crowd-facing” employees stable might be an attempt to reduce the fallout – it’s easier for the everyday worker to take news of an executive on a fat salary being laid off with a transition program to ease their departure than a regular employee getting sacked. However, with talk of streamlined and digitised services as well as the imposing figure of 8,000 jobs, Telstra employees at every level will be feeling nervous about the next three years. The most obvious sign that the news was not particularly well received was the drop in share prices since the announcement, which were already at a 5 year low. Many analysts predicted a surge in share prices following the news, but what they got was the stock dropping almost 7.5%, before evening out to 4.8% lower than the opening price. It stabilised at $2.77, just above historical lows. Many experts think that while future earnings could potentially increase due to these changes, the dividends for next year are not looking promising and many investors are jumping ship. There’s no doubt that Telstra’s announcement has shaken up the telecommunications world. Customers on the lookout for new plans will be keen to see what Telstra have to offer. Shareholders will want to see how the changes translate to return on their investment. Telstra employees will want to know how these changes might affect their job. Other telcos will be considering their own operations in light of the changes to see if their company can measure up. An eventful conference for Telstra investors has given a lot of food for thought, and now we will have to wait to see how those changes play out.